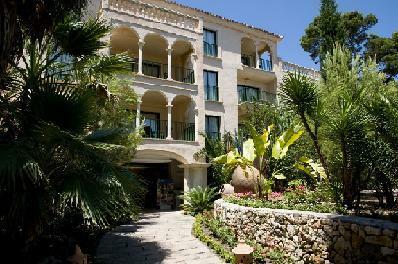 Lago Garden Apartsuite Spa in Cala Ratjada has 110 rooms, distributed across 3 buildings and spread over 3 floors. The sandy beach is 600 m from the hotel and the town of Capdepera is 2 km away. The closest city to the hotel is Manacor (30 km). Other cities: Palma de Mallorca (80 km). To make your stay more comfortable a lounge, a reception, a lobby, an elevator, air conditioning, a kiosk and a conference room are available. The staff in this 3 storey hotel speaks English, German and Spanish. Mobility on holiday is made easy through car and bike rental. 2 fresh water swimming pools, seasonally open with a separate children's pool are available. For convenience, refreshing drinks are offered at the pool bar. Sunshades and sunbeds are available for an additional fee at the beach and free of charge at the pool. Distance from the hotel to: Castillo de Capdepera (3 km), Cap des Freu (8 km), horse riding (1 km), airport PMI (80 km) and Cuevas de Artá (11 km).